If you have a small drywood termite problem and it’s accessible for treatment, have it locally treated before it spreads throughout your whole house and does a lot of damage. 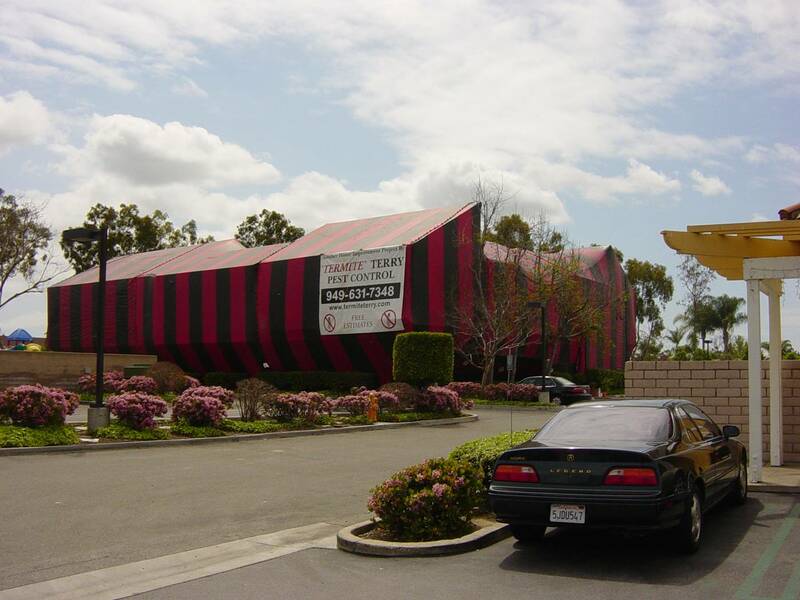 Wait too late and a fumigation may be your only solution. The first thing to do is have your home thoroughly inspected. Click here to schedule your inspection or call me at 949-631-7348. Areas of termite infestations will be marked with chalk (where accessible) so that you or anyone else can see where the problems are, you’ll receive an inspection report and a written estimate. Then, you can decide what’s best for you! PS: If your home has numerous spots of dry wood termites and/or areas of infestation that extend into areas that cannot be possibly reached for treatment, I’m going to recommend a complete termite fumigation. Even if it means losing your business, I’m not going to recommend something that I know won’t work. I like sleeping at night and there are plenty of other guys out there that will be happy to take your money and run. 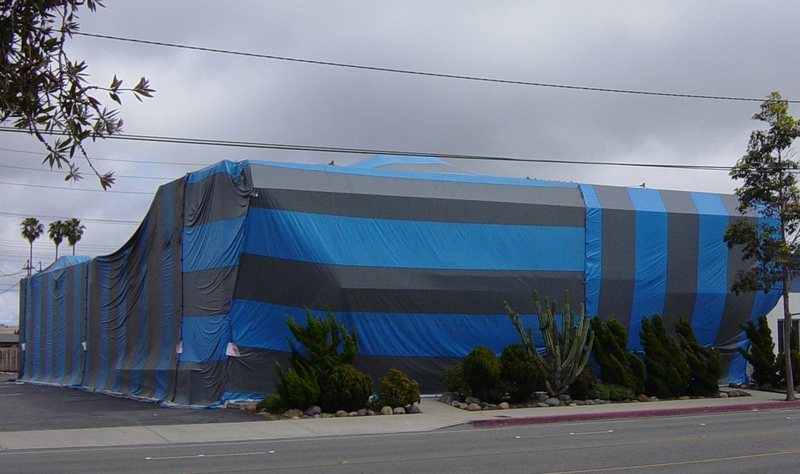 Also: Now, there are cases when a fumigation is just not practical. Apartments, condos and town homes are great examples of cases where we may need to fumigate but there’s no way we’d ever get everyone to cooperate, much less help pay for the job. That’s why the Structural Pest Control Board established Section 1992 of the Pest Control Act. 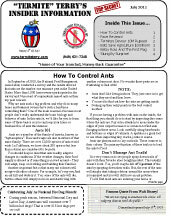 (special regulations for secondary dry wood termite treatments). In addition to the recommendations required in Section 1991 of The Pest Control Act (A fumigation is usually recommended), we may suggest a secondary method of treatment. However, the regulations require that everyone involved in the transaction be made aware of the fact that this process is considered substandard. To learn more about the Local Dry Wood Treatment for Termite Infestation Service offered by Termite Terry please feel free to call us at 949-631-7348 or use our online Order Form and we’ll get back to you as soon as possible. President’s Economic Stimulus Delivers Results!